It's Kathy again with a new layout using our wonderful products from Creative Embellishments. I love naked chipboard. I always feel guilty covering it up with paint or embossing powders, etc. 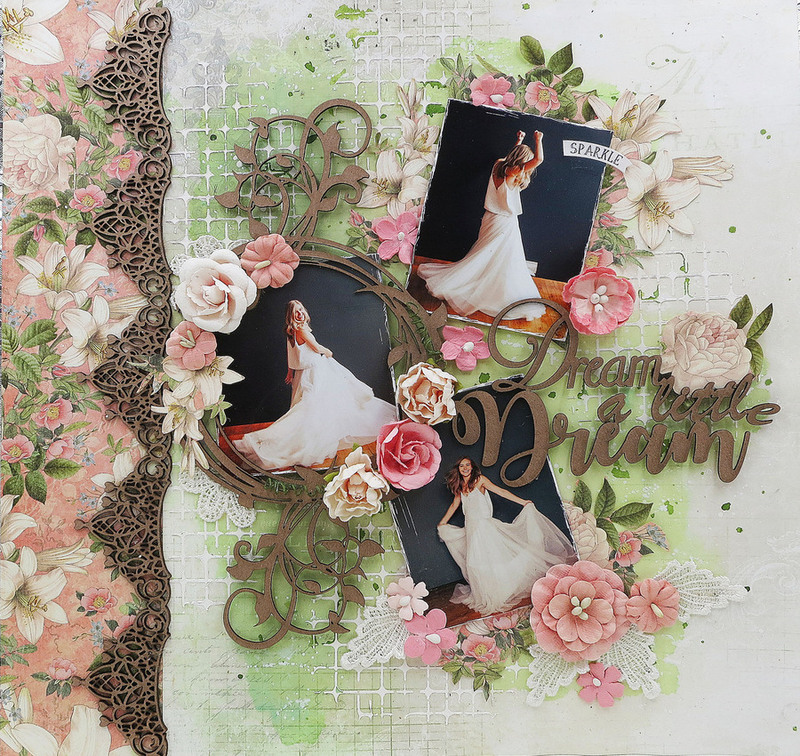 This month I wanted to create an organic feeling to go with the elegance of the photo theme, which screams for the chipboard to be in raw form. It really is okay to use it this way. The photos were taken by my gorgeous niece Dani Ulstad who has her own photography studio "Ronny and Rene". Her photos have been featured in "Brides" and many other fashion magazines. The pictures are of my other beautiful niece Samantha goofing around in this gorgeous vintage bride's gown. 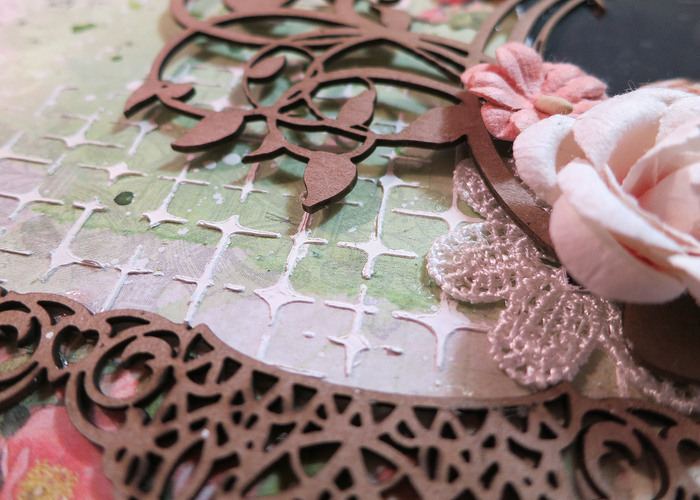 I started the layout with a Graphics 45 floral paper on the left side to capture the feminine feeling of the layout. Along the edge I used this amazing CE border that I just happened to stumble upon in the store. It's called Dripping Heart Lace Border . There is so much detail in the small intricate cuts I was afraid to cover an inch of it up for fear of losing all of them. You can see the edge of it in the photo below. For the background I did a little inking and stenciling to give the layout a light and airy feeling. 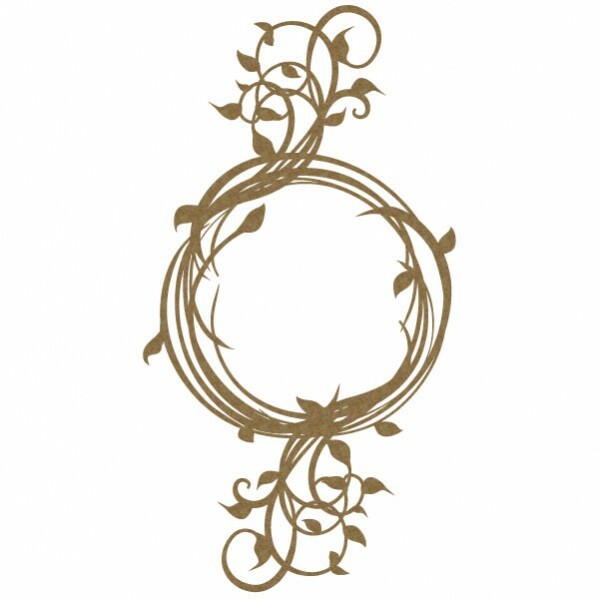 You can also see the Leafy Vine Frame below which is a stunning piece to accent any layout. I did a lot of fussy cutting from the Graphics 45 paper to frame the photos on the right. After adding tons of flowers and little bits of pieces of lace, there was only one more element to add......the title. Adding titles can be very tricky, do you or don't you; what is the right saying; where should it go so it doesn't dominate the whole page, etc. Well, I found the PERFECT title for my page. The Dream a Little Dream title is perfection. I tried really hard to not do a "structured" layout which is normally how I create. I am such a control freak, it is always hard to let go and just have fun. I hope you enjoyed my layout today and that you will check back for more inspiration from the CE Design Team. Newer PostFirst Fish and It Really Was This BIG!